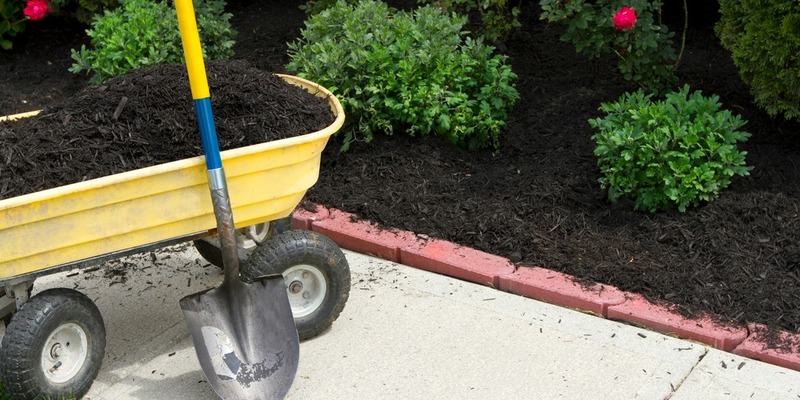 In Salt Lake City, get free compost, soil, fertilizer and mulch delivery from The Dirt Bag. We are northern Utah’s friendliest landscaping materials supplier and the quality of our products is second to none. When you order any of our bagged products, we will deliver them for free within Salt Lake County. No more fighting the crowds at the nursery or home repair center and no more back-breaking loading and unloading. Simply place your order and relax – The Dirt Bag has you covered. We offer both bagged and bulk materials, so you have everything you need for the perfect Utah garden and landscape. In Salt Lake City and throughout Salt Lake County, we offer free delivery of our bagged landscape materials. These heavy-duty reusable and resealable bags contain one cubic yard of your favorite products, including black and dark brown mulch, shredded bark mulch, organic mountain compost and soil conditioner. We also offer bagged wood chips, play sand, topsoil and – our most popular product – Garden Soil Plus. All you have to do is give us a call (or order online) and we’ll bring your products directly to you. We will unload your bags and place them where you want them (as long as it’s accessible). You don’t even need to be home. Just place an “X” on the ground with tape, chalk or spray paint – we’ll take it from there. If you need more than a few cubic yards of any landscaping material, check out our bulk purchase option. Order your landscaping materials of choice in one cubic yard increments and we will deliver to your location for a small charge. You can order garden soil, mulch, compost, soil conditioner and shredded bark in bulk. We also offer screened topsoil, pea gravel, cobble and Oquirrh gravel for bulk purchase. Our bulk landscaping material options change from time to time, so check our website for the current options. With a nominal delivery charge, we will deliver your freshly-cut sod conveniently loaded on pallets or, if you order 10,000 square feet or more, we will deliver anywhere in Salt Lake County for free. The Dirt Bag is proud to offer exceptional quality landscaping materials for an amazingly low price. Our safe and secure website is easy to use, with a handy calculator on every page, so you can easily determine how many cubic yards you need for your project. Contact The Dirt Bag today to learn more about our mulch, compost, garden soil, fertilizer and top dressing options for delivery within Salt Lake City.